Wednesday: How does cloud computing help you in your journey to success? 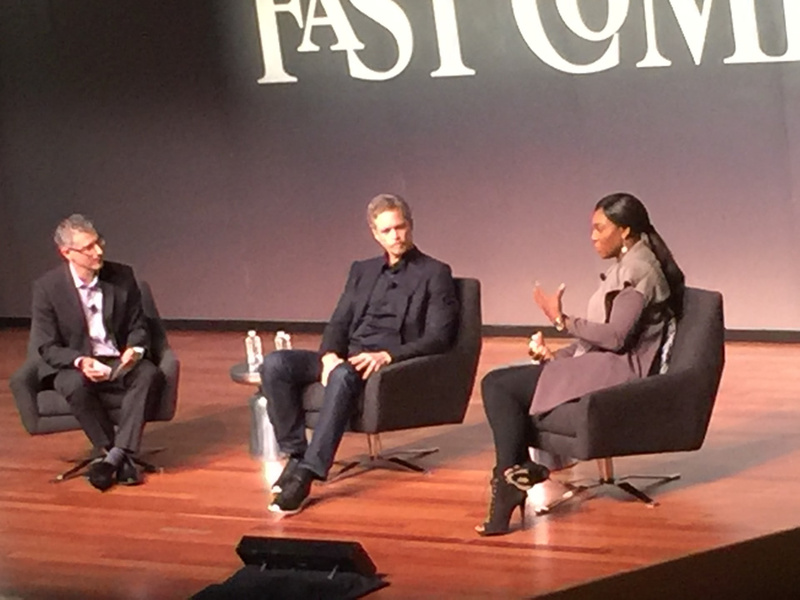 Today’s Fast Company Innovation Festival sessions were all about success. We heard from the top designers at Detroit success story Shinola, from star philanthropy leaders Barbara Bush, Meighan Stone and others and from restaurant consultant superstar Kenny Lao. But maybe the best advice came from tennis and fashion icon Serena Williams and from Mark Parker, Nike CEO. They really reminded me of our Calitech™ customers. These customers trust us to take care of storing and managing their data and applications so they can focus on what they do best: growing their business. Mark said that one of the most deadly phrases in business is: “That’s not the way we do things”, because it prevents you from trying a different way of doing things, and therefore growing. Serena said that if you always look behind you, you’ll miss what’s ahead of you in the competition. So many times, we find customers who allocate precious resources to cloud storage and managed services, instead of freeing those resources to focus on the future, on innovation and growth. I want to tell them: “Let Calitech™ help. It will give you peace of mind so you can focus on the future and get ahead of the competition”. Like Serena Williams.